Something great happened today, as two of Abuja's own bloggers launched a fantastic thing today! The duo of Jenny Chisom and Jecinta Keshy launched #SMOHash today by 2pm. 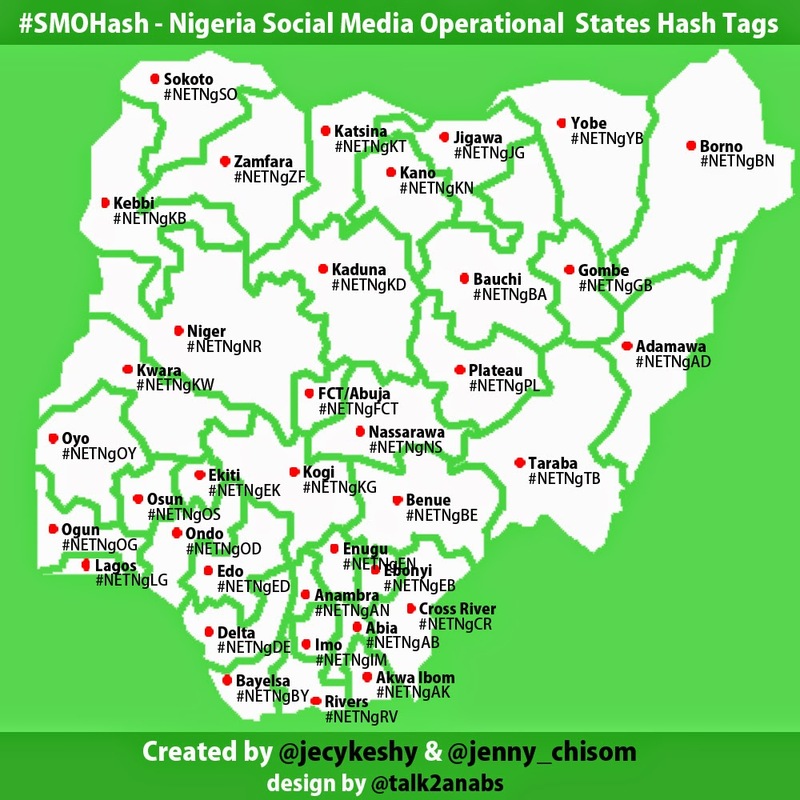 For those who do not know #SMOHash, is the acronym for Nigeria Social Media Operative States Hashtag. What can you do with this you ask, well alot! For starters, let me explain the hash tag for States here, it starts with the short form for internet (NET), then two letters for Nigeria (Ng)finally two letters for the State (except for Abuja, which has 3 letters, FCT). So the State hashtag for Abuja is #NETNgFCT! If you are in, say Abuja or want to communicate with people in Abuja, when you use the hashtag #NETNgFCT in your tweet, anybody searching for events, policies, trends, discussions etc in Abuja will know.